My daily walks continue. I leave around 8am and finish around 11.30am. It is hardly a strenuous workout after the first 30 minutes but it keeps me out and active. On a whim I climbed High West last week. I had researched this short but steep climb a few weeks earlier. The blogger writing on his experience was not impressed. If I recall correctly he said it was a slippery, snake-ridden path up and that he had been chased by a swarm of angry bees or wasps on the way up. I started with the intention of seeing just how difficult it is, thinking I could always turn back if the cobras and giant hornets tried to overwhelm me. Well it took me 20 minutes to ascend. Dry, No snakes and just a couple of buzzy things. I was far more concerned with being blown off the summit. There is a trig point up there and not much else except glorious views. The path onwards was closed for unstated reasons. The muscles grumbled a lot on the way down, which took me all of 8 minutes. I won’t climb again until we have a calm, clear day. I continue to explore Lung Fu Shan and feel I am getting to know it a little now. Last week I found a good bird. 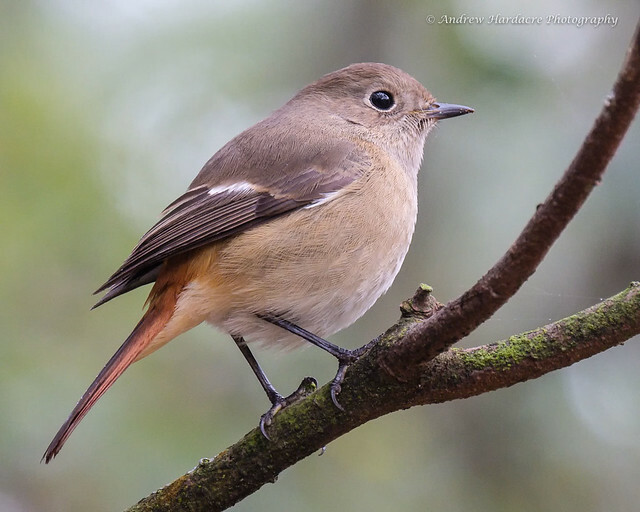 At the time I thought it was something reasonably common as a passage migrant. It was high up in a tree and the light was awful. The advantage of digital photography however is that you can see in real time what the picture will look like and so I took some shots with the exposure compensation on +5 stops! That was a first for me but it produced a useable image. When I looked at the bird on the screen I had some doubts so I decided to post it online and sure enough, I was wrong. Much better. 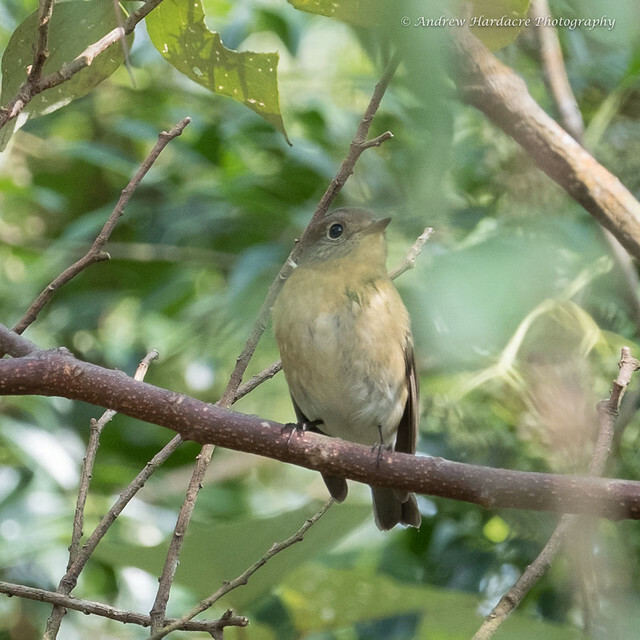 A female Mugimaki flycatcher. The photos won’t win any prizes but they did what I needed. There are also several regular residents willing to pose occasionally. I always go up there thinking I don’t need any more photos of Daurian Redstart or Blue Whistling Thrush. But what do you do when they fling themselves at you? Butterfly life is slowing down as the temperatures drop and the breeze picks up. One day last week we had dense mist draped all over The Peak and Lung Fu Shan. I almost stayed in. Mrs. Ha encouraged me to go out anyway and it was a good decision. Fewer people, almost silent and some great visual effects. Dampness settled on my clothes. Not enough to soak through but enough to blur the vision as my glasses were coated in droplets. 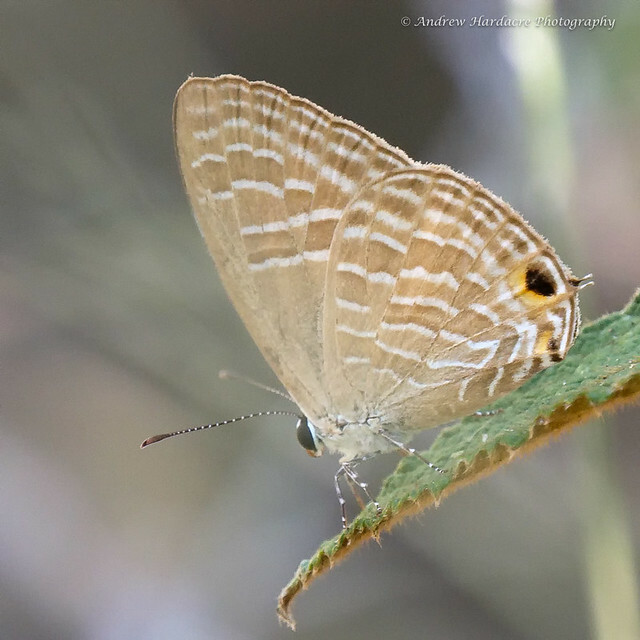 My bonus was a butterfly classified as very rare in Hong Kong. Jamides alecto. I wonder what else lurks unfound in Lung Fu Shan. I am sure I am the only regular checking it out. It is a rest day today. I am sitting on the balcony to type this. It is cool, bright and the sounds of traffic and birds flow upwards on the breeze, mingling as they reach me. It is December the 3rd. Yesterday would have been my mother’s 91st birthday. I can relax and reflect. My only worry is where the next coffee is coming from. Life. I do like your perambulations, with photos. Does that thrush have a pretty song? Props to you for spotting the rare butterfly. Did you have to make your own coffee? That’s a good walk, Andrew. We rarely take more than an hour or so. I always make the coffee. As for freshly roasted, we are lucky to now have the beans. Not that long ago Nescafe was thought to be real coffee. Before that, back in the fifties, anyone asking for a real coffee was thought to have dodgy sexual orientations. My mum had to go catch a train to Sydney to buy real coffee. We have a Nespresso machine too Gerard. The coffee machine is a bit fiddly and a pain to clean. But it’s a harmless pastime trying to make a good espresso. There are worse vices. I didn’t know about the old days. I wonder what they made of a flat white. Sounds like you’ve ended up in Paradise! It seems that you are getting some very good exercise and building up endurance. I continue to wonder when you will begin running. That is likely a stretch but none the less I just had to give it a mention. I jest, just a bit. The blue thrush is a marvelous photo with the bird’s tail fanned out, that to me, is a symbol of a ladies dress. I know that you miss your mom. It would be so wonderful if she were still living. I really was joking about you running. But I am glad that you are able to walk up the hills. It is great exercise for the heart and lungs and keeping you in fine fettle. I like that you have photos of the two most important women that grace your life- past and present. 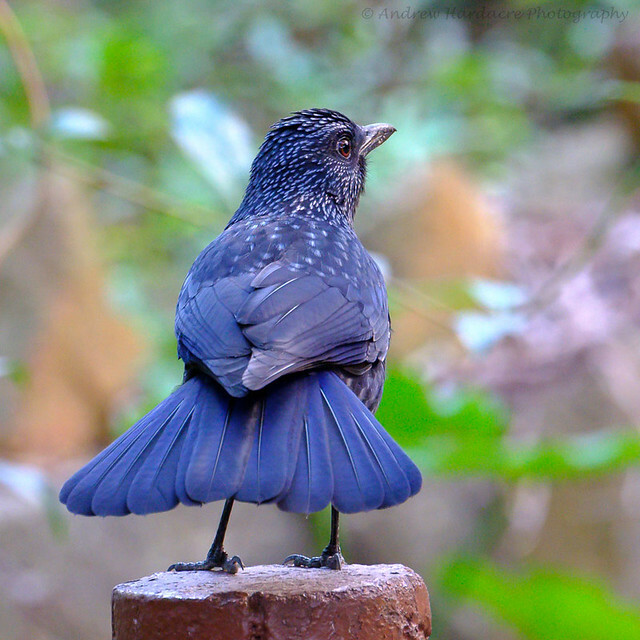 Love the pose of the Blue Whistling Thrush, such glorious plumage. It must be fun being back in HK and rediscovering your old ‘hood. Super photos Andrew and fun for us to see such exotic birds. Thank you. I’m with you on the cigarette/pipe issue. Pipes remind me of my grandfather who, unfortunately, died of lung cancer. 😦 But that aroma does bring back good memories. It sounds like you are settling in well there. Do you find it scary at all to live with Communist rule? That is probably a very silly question so forgive me. The butterfly you found~what a lovely creature! I envy you that you can get out for walks. I believe we might hit all of 12 degrees F. today. I tried to take Pete for a walk yesterday but the poor fellow kept holding up his feet and hopping so we bagged it. We’re getting mighty bored! Not a silly question at all. To be honest politics don’t encroach on everyday life here. We have things China does not (like Facebook) but there is more self-censorship now in the media. We don’t feel threatened. It may change in the future but for now HK is business as usual unless you are politically active. We are not. We do think about what it might be like in the future but frankly Britain was much tougher for us. We had some good friends and neighbours but our social network is here, family is here and we feel more at home here. We left because of the pollution, politics and prices. After almost 2.5 years in Britain we felt we could live with them after all. HK is far from perfect but scary it is not. It is not a good place to be if you are poor. Sad and harsh but true. I’ve heard that, and it is true for a growing list of places. I’m so glad to hear that you don’t feel the encroachment of politics in your daily life. It is clear from the happiness that comes through your posts that this feels more like home to you. I am so happy for you both!